Slush performs their new album 'Frog Water' in Appleton Wisconsin. Punk rock quickly took over the hippie era of the previous decade and transformed the next youthful generation with a sound that was powerful, quick, and animalistic. It wasn’t just the next thing in music, it was a cultural shock wave with an impact that would be felt throughout the world in the 1970’s. 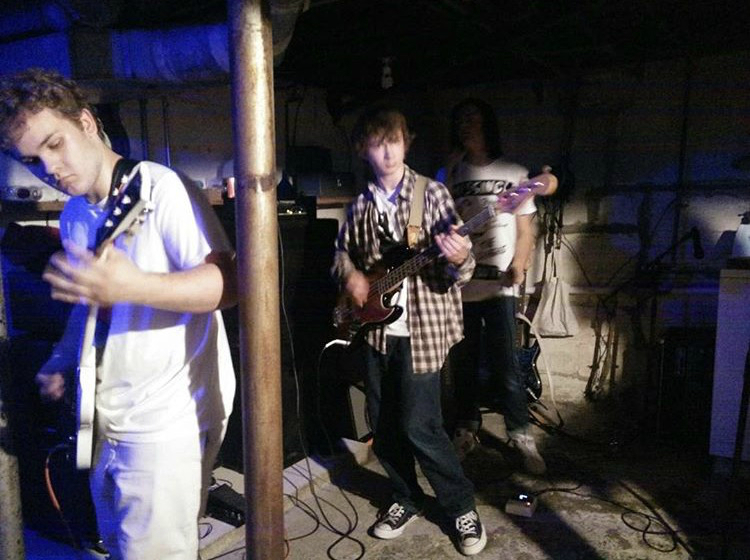 Slush, a local punk rock band in Hartland Wisconsin, took the age old genre and brought it back to the spotlight with their newly released album “Frog Water” which was released May 28th, 2017. “Frog Water, on top of being the most coherent album Slush has put out, spans over several genres. For the first time we explored post-rock, indie rock, and surf rock. The last four tracks also fade together into one mutant composition. I couldn’t tell you where we’re going musically. Likely it’ll be more in the direction of indie or psychedelic rock. We were inspired, musically, by many many different influences. Frog Water basically pulls from all of them, which is why genre-wise it’s such a mixed bag. But we were inspired to start the album shortly after we played our first gig, when we saw there was a scene and a possible audience for our music.” Paulmeter says. Throughout the mid-days of June Slush has become known to much of Wisconsin, along with a few other states throughout the midwest. Slush’s tour made their way to Rock & Roll Land in Green Bay Wisconsin, the Rad Pad in Appleton Wisconsin, and Rockford Iowa in what is called the Disaster House and The Hole. Allowing individuals to discover and enjoy the music they wanted to hear. “Each show had varying numbers of audience members. We learned that it doesn’t matter if it’s just one person watching, you gotta play your heart out either way. We learned about the dynamic of DIY venues and how people always like to help out other musicians in this community/scene. We played in many environments: a record store, the basement of a tattoo parlor and an anarchist punk house in the worst area of Rockford, but where ever we played we were welcomed with open arms. Seeing people mosh and dance to something we created was a very meaningful experience to me and probably all of the boys.” Moncrieff says. This was a very good article keep up the good work! I think the hot potatoes band is better and is more experimental though.